The Asheville Jewish Community Center (JCC) is the heart of Asheville’s warm and welcoming Jewish community. At the JCC, all are welcome to share in Jewish traditions, values and culture. The JCC has been the home for Jewish life in Western North Carolina since 1940, and today continues to be a vibrant and diverse community of people. The JCC strengthens Jewish identity, celebrates Jewish culture, and builds community through a wide variety of programs for people from all backgrounds, at every stage of life. In March 2016, the JCC contracted Counsilman-Hunsaker to develop a feasibility study for adding an indoor, six lane lap pool. The study was based on extensive research to analyze needs and to determine objectives. A needs assessment analyzed market area demographics, inventoried the existing aquatics facility, and identified other area pools and potential user groups. Options for programming were developed, along with estimated revenue potential and estimated operating expenses. In 2017, Counsilman-Hunsaker completed design on a new tot pool and lap pool. 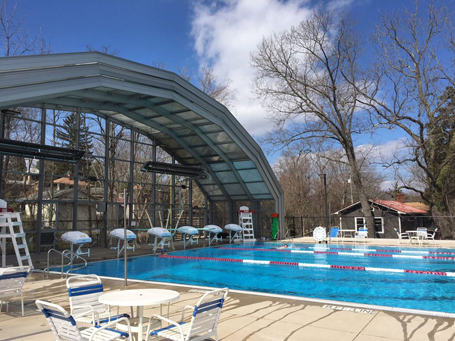 A retractable cover makes it possible to swim outdoors during the summer months and swim indoors during the colder months. 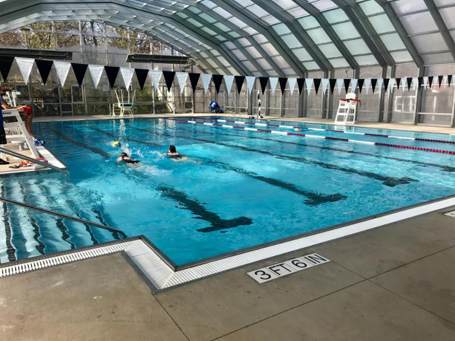 The year-round pool allows all-season swimming, new aquatics wellness classes, annual and summer-only access options, and opportunities for swim team, swim lessons, and fun all year long.